Top Skater is an arcade game released by Sega in 1997, and built on the Sega Model 2 hardware. 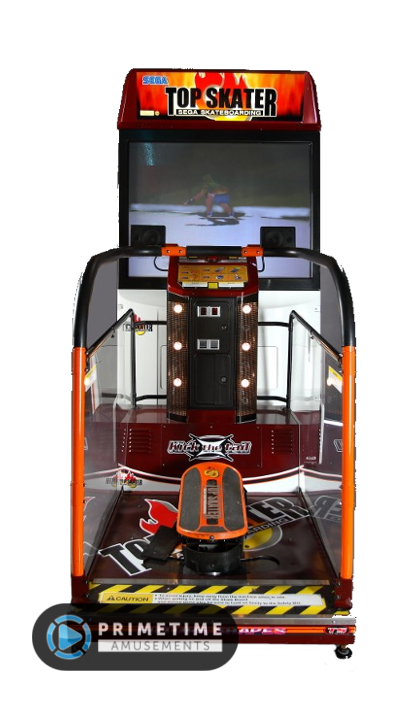 It was one of the first arcade games to feature a skateboard controller interface. In Top Skater, players stand on a skateboard-like platform which swung side-to-side or tilted, manipulating the actions of the avatars in the game. Similar games were made for skiing, snowboarding and other sports of this nature. The game consisted of various ramps, rails and other skating objects from which the player could do tricks to gain points. The main sponsor of the game was Coca-Cola. The game's style is like that of the later and more known Sega game Crazy Taxi, noticeably the character art design and music type. Top Skater was also directed by Kenji Kanno. A lesser known sequel called Air Trix was made in 2001. 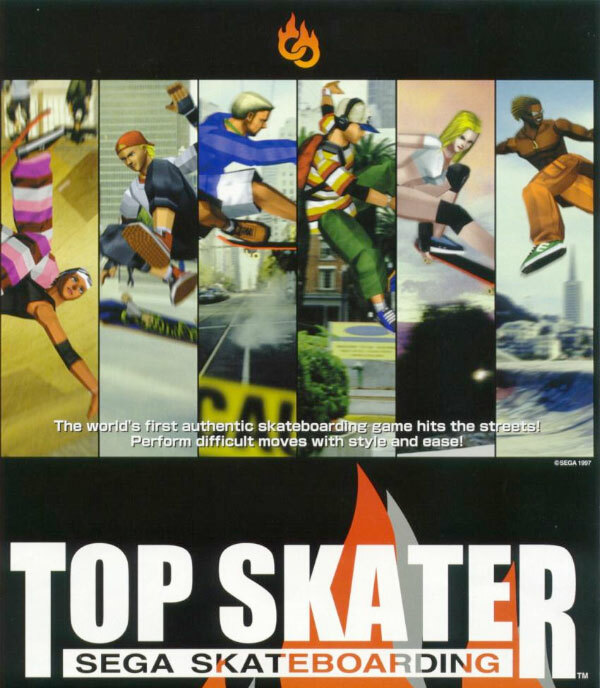 Top Skater can be played on the Model 2 emulator available for Windows.